If we hadn't thrown off the shackles of British tyranny, there'd be butter on all our sandwiches, sweaters would be jumpers, The Office would have ended ages ago and we'd have nothing to do on the Fourth of July. Lucky for us, we get to commemorate breaking up with the monarchy (we did it in a letter — was that bad?) and celebrate life, liberty and the pursuit of tasty street food. Fortuna is not waiting. On Wednesday, July 3, the town will host a picnic, with fire engine, fireworks, potato sack races and a tug of war. From 5:30-10:30 p.m. in Newburg Park, folks will be lining up for tri-tip or chicken plates ($10) and hot dog plates for kids ($5). Go easy on the barbecue if you're planning on entering the pie-eating contest at 7 p.m., and maybe leave the bouncy house for the kids. Fireworks with oohs and ahs start after dark. Eureka Main Street knows how to throw a shindig. Starting at 10 a.m. on the Fourth, more than 100 vendors will be hawking crafts and goodies all over Old Town. Classic cars will be on display along with a fire truck, and you can get down to live music from two different stages. Your chance to shop, mingle and eat something on a stick goes until 5 p.m. Then come back at 10 p.m. for fireworks over Humboldt Bay. If you've recovered from the Oyster Festival, Arcata's 4th of July Jubilee is going down on the plaza from 10 a.m. to 6 p.m. Look, Ma — no fence! Just loads of food, arts and crafts and live music so everyone can party like it's 1776. Grab a blanket and stake out a spot, then take the little ones over to the Kid Zone, where they can do some spin-art, get their faces painted and check out the FreeLove Sideshow tent. Over in Ferndale the townsfolk are kicking off the celebration with free fire truck rides at 10 a.m. and a parade at noon. Ferndale Rotary is hosting an old-fashioned picnic at 1 p.m. with burgers or veggie burgers ($6) and hot dogs ($5) with sides and ice cream. 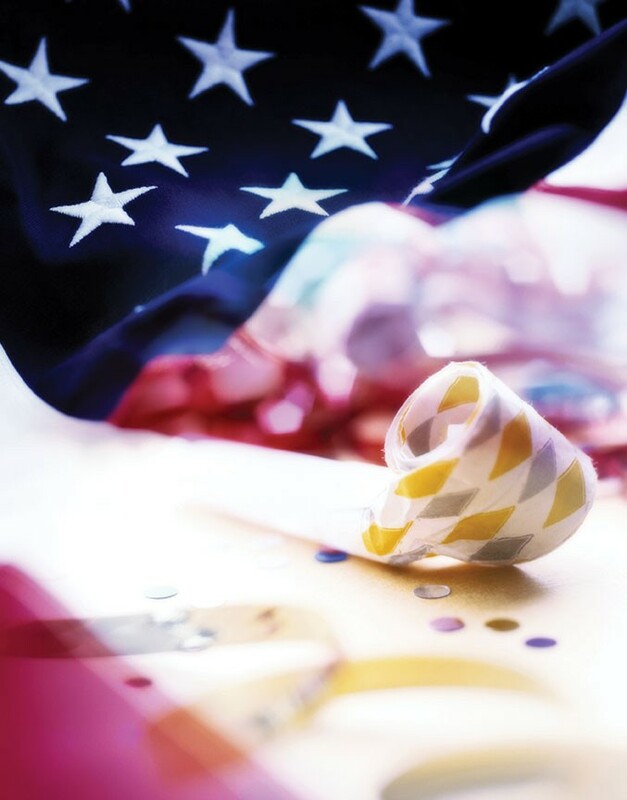 Pick up tickets and catch Ferndale Repertory's "Celebrate America" musical revue at 3 p.m. Then Paul Revere it over to the fairgrounds for a kiddie bounce house, food vendors and Bear River Casino's fireworks show at 9:30 p.m.
And that is how we roll in the colonies.